Falling Planets! This is a graphic novel from the Battlestrux Universe. It details humanities first voyage into the larger universe. 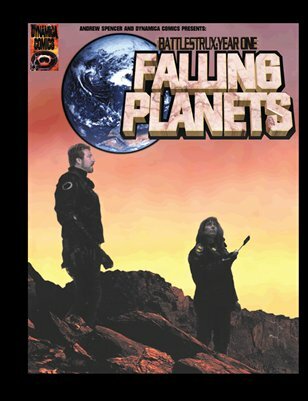 Purchase this book and receive a free download of the soundtrack inspired by and created for Falling Planets by Lenzmen Dynamics Plus. 60 Pages, Full Color. Our warp drive will open a new frontier. This is man’s first step into the larger universe. We will stumble over our humanity.